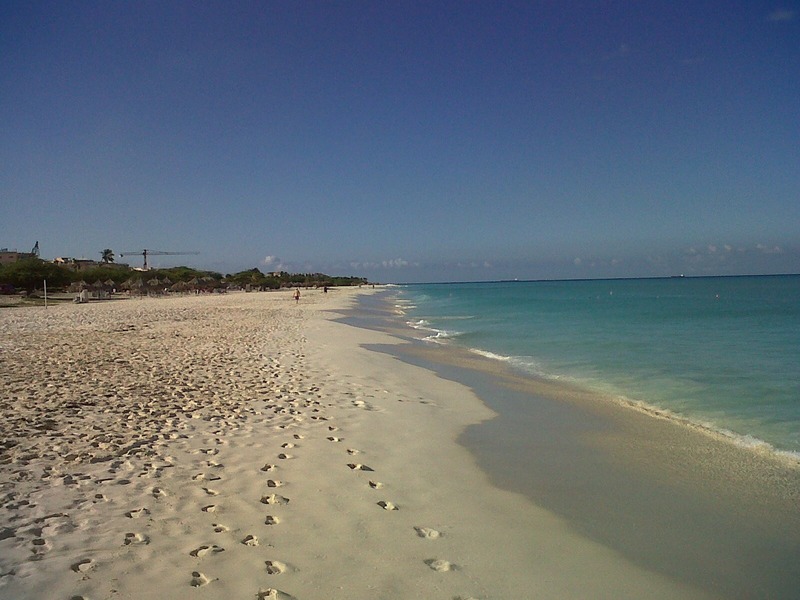 Many people enjoy a morning walk on the beach when visiting Aruba. This time of the year, there’s plenty of room for everyone, as you can see in this photo of Eagle Beach. Eagle Beach, Aruba, November 2013. I took that picture with a cell phone. Turned out fairly well. The morning light makes things sparkle. Planning on making a TV commercial not far from this spot.